I'm Alison. I've been blogging for seven months. I review mainly YA with a few MG books and a weekly manga feature. It's gotten a lot of great comments. Check it out and weigh in! -I was a good library customer this week. What an assortment you have there! Thanks for the follow, am following you back. Haven't heard of any of those..Guess I have more books to look up! Nice books. Love some of those covers! I've gotta couple of those on my list as well. I've never heard of any of these this week Alison...too weird! I love that you picked one up though based on the reference in ANNA. Pretty cool! Here's what's in my mailboxthis week! How can anyone be ashamed of liking Twilight? I enjoy the books. Anyways...I'm looking forward to Inconvenient! You had a very eclectic hall this week! Happy reading. Here's my IMM. The Bloody Jack books are amazing! I'm looking forward to seeing what you think of them. Happy reading! Swim the Fly by Don Calame was such a crack up. I love recommending it to my boys because they always end up laughing out loud while they're reading. I'm excited for your review of Calame's Beat the Band! You got some winners here girl. I'm really looking forward to the Bloody Jack series, so I can't wait to read your review! You have a bunch of books here I haven't heard about. Looking forward to reading your thoughts! Thanks for stopping by! Great haul! Happy reading! Bloody Jack has been appearing on my radar recently - especially as something to recommend to younger male readers or reluctant readers. I definitely want to read your thoughts on it. I'm such a Morganville fan girl - I love that series. You have such a great mix of books here. Glad to see your local library got some loving this week. :) Happy reading. And thanks for stopping by. Great bunch of books! Yay for the library! Inconvenient looks so pretty. I hope you enjoy all your books! Great mailbox. So many books to enjoy. Happy Reading. That Hush cover reminds me of the cover for The Unidentified. Bloody Jack is a great book, but if you have a chance to listen to it on audio, you should. It is one of the best audiobooks out there. It's like listening to a movie with you eyes closed. The narrator is very good. Ha, can you tell I liked it? Great books! I'm a new follower! And thanks for following my blog! I adore Twilight too. :) Have fun reading the books you got. I have Hush but havne't read it yet. I keep hearing good things about it, so hopefully soon. Great mailbox this week. Thanks for following! Haven't read any of these but I do want to try Chloe Neill's adult series. Happy raeding! These look like some great books, can't wait to see what you think of them. That's great that you picked up Banana Yoshimoto's book after reading the reference in Anna. I read Kitchen by that author long ago. You found some great books at the library! That's how I read the Morganville vampire series. Great IMM! I've never heard of these books! Thanks for putting them on my radar! :) Happy reading! Great book week! I have Bloody Jack on my shelf, but I haven't read it yet. I've been wanting to read Hush after reading some positive reviews. I've also been curious about the Bloody Jack series. I need to try it one of these days. Oh, and I enjoyed your post on Twilight and decided to become a follower after reading it. You are absolutely right that people should not be made to feel ashamed of what they read! Awesome set of books. I haven't heard of a lot of them but I'll have to look into them. I'm especially interested in Hush. Happy reading! Great books. I liked Hush too! Hi Alison, I love your mailbox. They are all new to me apart from the Rachel Caine one. It's great to see new/different books appearing. I took the advice of many bloggers last year and read Bloody Jack; it was fantastic. Hopefully you really enjoy it as well. Hush and Inconvenient look sooo good! The Bloody Jack book looks pretty interesting so I'm looking forward to your review of it. 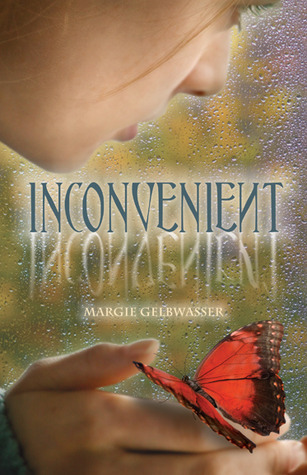 The cover for Inconvenient is gorgeous!=) I am new to the Morganville vamp series and look forward to reading on. 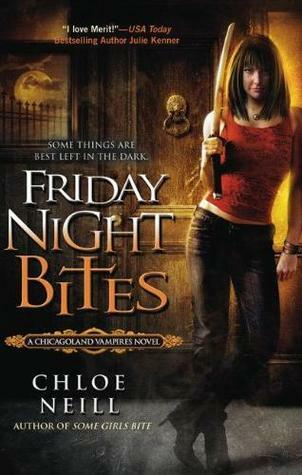 Chicagoland vampires is on my must read list. I love the library and always borrow as many books as possible. It is definitely one of the best way to support. =) Great reads here. New follower as well!! Bloody Jack is looove. Seriously. And Banana Yoshimoto, I just read this one of hers. It's not as good as Kitchen but I liked it anyway. Happy reading. Oh you've got some great books this week :p.
Incovenient seems great I love the cover ! Cute books. Hope you have fun reading them. 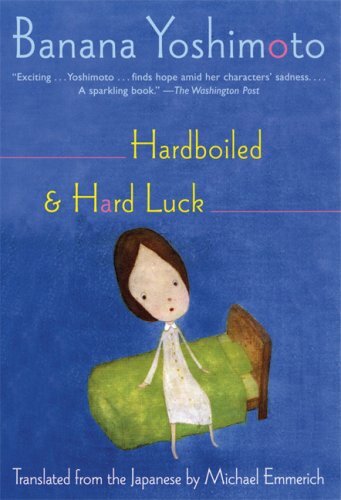 Haven't heard of most of the books you have ... but I especially liked Hardboiled & Hard Luck's cover. Very cute. Great mailbox this week! Happy reading! I have heard so much about Yoshimoto and never read her books. Time I started I think. Enjoy your mailbox. :D Ooh, I love the look of your blog! So pretty! Great books you got this week, they look really interesting, will be checking them out immediately! You're right not to be ashamed of loving Twilight.One's opinion should always be respected.Maybe Twilight have not changed my life, but it introduced me to the YA world and for that,I will always be grateful.Anyone else that thinks that that's ridiculous, it's their problem.Not mine or yours. p.s. thanks for stopping by our imm post.